On June 30, 2013, I wrote about our decision to create an event to raise money for Kyleigh’s fund at the Liberty Hospital Foundation. We had already launched the sleep sack project, and while the cost is very affordable at $7 per blanket, when the volume of births is factored in, we knew that our limited resources would not be enough to continue past the initial purchase. There would need to be something, some way by which we could engage the community to continue to provide this valuable service to all newborns at the hospital. We took the initial steps to start the project by depleting all available money from the fund for a 6-month commitment to the program. I recall wishing that we had the money for a full year, but that wasn’t the case and rather than inaction, we felt it was better to get started and trust that someday, by some other means, there would be enough resources to continue the program. Following the trend of other charitable organizations, we decided that a 5K run/walk was the answer. 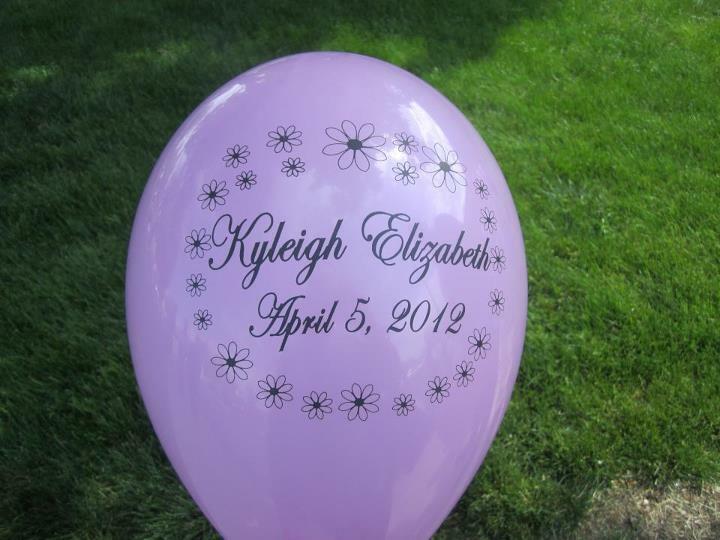 The fund’s purpose is to educate parents and provide them with tools to do as much as we can to prevent this shadow of grief from falling on other families, while at the same time to remember and honor Kyleigh. The blog compliments this by giving us a venue to express ourselves in a way that glorifies God, and allows us to record our actions and emotions for remembrance and retrospect. Someday our children will ask how we managed ourselves, and I hope this will give them a piece of understanding. In two weeks’ time we will hold the first annual run/walk for the fund in conjunction with the National Pregnancy and Infant Loss Remembrance Day of October 15, and to celebrate 25 years of the Birthing Center on the grounds at Liberty Hospital. You can read more about the event and register to participate here. In our initial meetings, we hoped to raise another 6-months operating expense for the sleep sack program, or about $4000. The response has been overwhelming. One of my favorite gifts so far is the $404 raised by a local church during their summer VBS program. With two weeks to go, over 100 participants have registered. Rain or shine, it’s going to be a beautiful evening. We are seeing something miraculous happening because of Kyleigh in our home and in our community. Life is full of choices. Choose life and be amazed at the possibilities.